At Vic’s The Moving Man, we have the knowledge and experience needed to not only move the items in your office, but also to keep your company organized and productive throughout the entire process. We know that relocating your staff and your employees can be complicated, that’s why we are dedicated to ensuring that every step of this process goes smoothly. 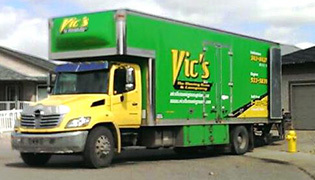 Vic’s The Moving Man has been relocating companies in the Langley area and beyond for years. Hiring a less reliable or less experienced moving company will cost you both time and money in the long run. Instead, trust the experienced professionals at Vic’s The Moving Man. It doesn’t matter if you’re moving your office across the country or across the street, you can trust Vic’s The Moving Man to handle all of the details of your business move. Our Langley movers can meet every need and expectation you have, letting you focus on your own business and ensuring very little downtime. Our corporate relocation services place the needs of businesses, employees and their families first. We offer packing, crating, storage and vehicle shipping services that make office moving straightforward and stress-free. Plus, you’ll work with a relocation coordinator who will assist your employees in choosing the services that are best for them. Our reputation is based on dedication, reliability and flexibility. We provide commercial moving services on time, on budget and on a schedule that meets your needs. Our experience in packing and transporting important documents and materials ensures that your company will stay organized during the move and that all business operations will continue to run smoothly throughout the entire process. No matter the distance of the move or your type of business, you can take advantage of our professional and reliable moving services. Contact us today for a no obligation quote and for more information on the commercial moving services we provide. If you are looking for professional commercial moving services at a competitive price, you’ve come to the right place. 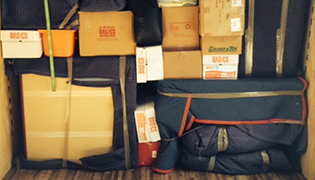 Our specialists are the experts at safe and reliable commercial relocation. We use modern equipment and moving techniques to ensure that all of your property will be safely moved to our new location. Our vehicles are specially designed to transport bulky furniture and fragile office equipment, providing a safe and effective move. 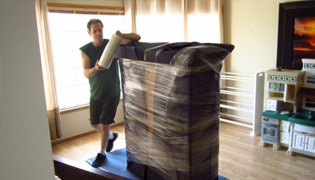 When you work with Vic’s The Moving Man, our moving experts will help you with every aspect of your commercial move. We are always focused on strict control, accurate planning and detailed delivery of moving services, making the entire process faster and more stress-free than ever before. It is our goal to have every move run smoothly and efficiently. Our team can help you reduce the time needed to pack your office furniture, supplies and equipment, and even provide you with professional packing materials. Our years of experience in commercial moving make us the best choice for your office moving needs in Langley, British Columbia and beyond. Please contact us today with any questions you may have or to receive a comprehensive, no-obligation moving estimate.